At Celtic & Co. we only use the finest natural fibres for all of our products because they are completely renewable, sustainable and a pleasure to wear. 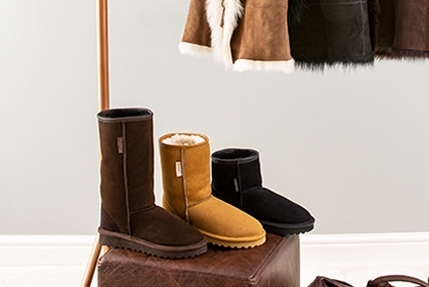 The sheepskin used to produce our footwear and outerwear are predominantly from British sheep, with a very small proportion coming from Europe for our trims. They are always a by-product of the UK & European meat industry which operate within the highest regulations for animal welfare. We have worked with our suppliers for decades, forming relationships we can trust. Normally considered a waste material, we transform these skins into naturally warm, breathable outerwear and footwear that is beautiful, long lasting and irresistibly luxurious. Upcycling at its best! We use wool which in its natural form is a renewable and sustainable fibre that is extremely versatile. It provides good insulation against the elements and has the extraordinary capability of being able to absorb up to 30% of its own weight in moisture without feeling wet. Wool is also dirt resistant, flame resistant, and resists wear and tear, requiring less cleaning and upkeep, resulting in less washing and energy used. Different breeds of sheep each have their own unique wool's, each with different qualities. 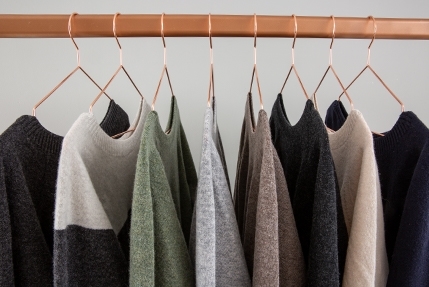 We've selected the best wool for each purpose in our clothing. The leather we use is sourced from the finest quality suppliers, as close to home as possible. Our leather and nubuck footwear is hand finished with a rugged look, which adds a touch of laid back glamour to any outfit. 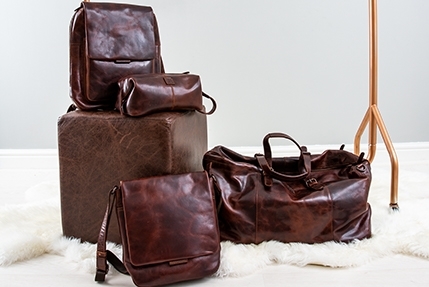 Our luggage is crafted in a typically aged brown leather. This finish gives our accessories longevity as they’re designed to look loved, whilst remaining as beautifully soft and supple as the day they were purchased. We use two different types of wax cotton, both combining the benefits of breathable cotton with practical, year-round weatherproofing. The newly developed hybrid aero wax has a light wax feel and softly aged appearance. A unique lightweight alternative to a traditional wax fabric, ideal for lighter weight weather proof garments. 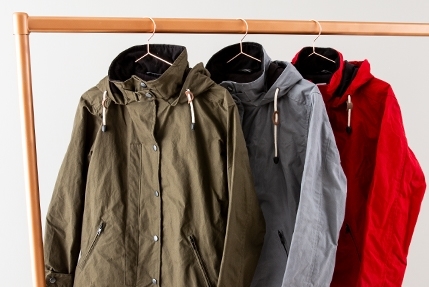 Our dry wax fabric has all the benefits you would expect from a classic wax jacket, both weatherproof and stylish. Positively impacting our customers and the environment, there is no need to dispose of your much loved footwear when we can reduce waste, reuse original boots and restore them through our unique, resole and repair service. - Our sheepskin boots are designed to accompany you throughout many of life's great adventures; they're handcrafted from the finest quality British sheepskin and completed with a durable, Italian rubber sole. - Both sumptuously stylish and hard wearing, many of our customers find that during the fresher weather, it is almost impossible to take their boots off and because of this, they can sometimes begin to look a little loved. This is when we would advise a visit to the resole and repair team. - Whether your boots are worn out, in need of a repair or require a new sole, our team can give your favourite sheepskin boots the care and attention that they deserve to give them a brand-new lease of life.